At Mr. Appliance® of Portland, we truly care about delivering the best possible service to our clients. Whether your dishwasher isn’t getting the grime off glasses anymore or your ice machine isn’t staying chilly, our team of qualified technicians are always ready to help. 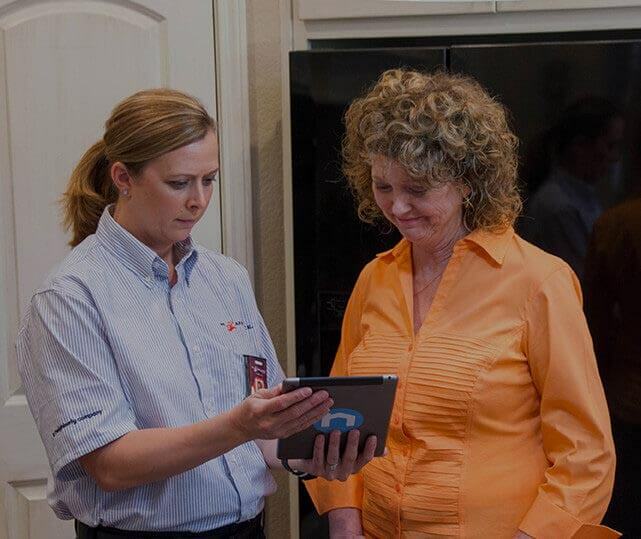 We don’t just fix appliances—we also get them to run as efficiently as possible once were done. We are an award-winning company that upholds high standards of professionalism, quality, responsiveness, and numerous other attributes. With an emphasis on getting your appliances running smoothly and efficiency again, Mr. Appliance of Portland is here to help restore convenience and comfort in your home. Get started today by calling (503) 877-1349! Mr. Appliance owner, David McCall, grew up repairing things for loved ones. He learned appliance repair through classes and "on the job" training. His mentors were long time appliance repairmen with a loyal following of customers. He officially began his appliance repair business in 2002. Three years later, David determined that he could serve his customers even better by becoming a Mr. Appliance franchise. "We won't give you a phony lowball estimate"
We are constantly undergoing training and as a Mr. Appliance franchise, we have access to some of the best and most up to date information. Furthermore, our pricing structure eliminates the guesswork, which means there are never any surprises. We find our customers welcome a firm quote before a job starts. As David says, "We won't give you a phony lowball estimate just to get a foot in the door." You'll recognize your Mr. Appliance technician by his uniform and ID badge. He will carry a special doormat to clean off his shoes. Then he'll put on shoe covers. All this is to protect the flooring in your home. Even his tools are laid on a special tool mat. Mr. Appliance is fanatically committed to its "leave no trace behind" policy! Now, Mr. Appliance of Portland offers exceptional services to customers throughout all of Clark County and the surrounding areas. If you are dealing with a difficult or damaged appliance, reach out to our team today!